I FREAKING LOVE TAYLOR SWIFT. IT’S REAL. First, let’s establish something right off. 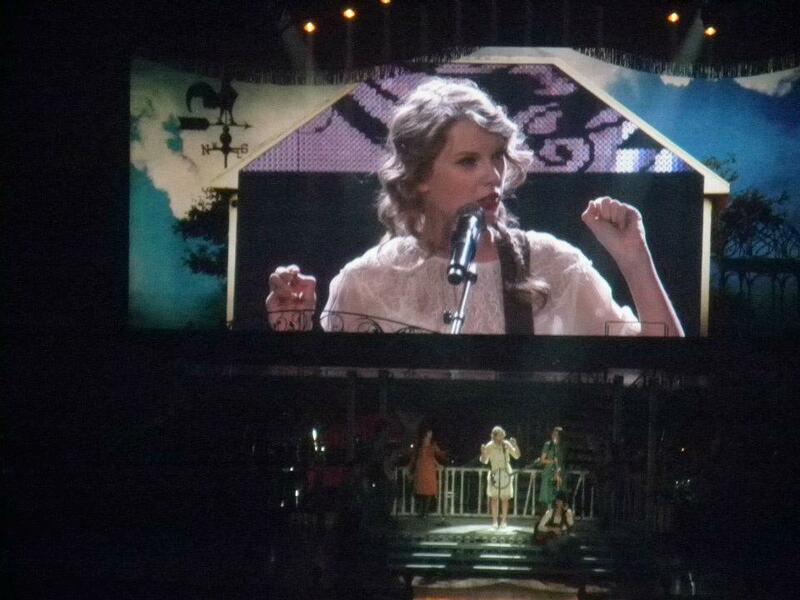 It’s kind of not cool to be obsessed with Taylor Swift. It is (at least at my high school), however, cool to be on the spectrum of annoyance to hate when it comes to Taylor Swift. It is also a thing that peer pressure is kind of hard to resist. So I am just kind of a mouse when it comes to people ragging on Taylor Swift. I keep my love inside. And just saying, I’m kind of done with that. BECAUSE TAYLOR SWIFT IS AWESOME AND I LOVE HER. So. 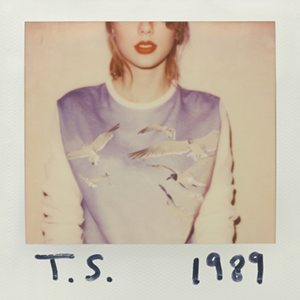 1989 is awesome. Beyond phenomenal. The only thing I’m kind of upset about is that Style hasn’t become the huge sensation that “Blank Space” has. I think I went through a few days of only listening to “Style” over and over and over again. And over and over and over again. You get the idea? Dear Taylor, will you pretty please make a music video for “Style”? Thanks. I’ve been a huge Taylor Swift fan since Fearless came out. Last year the song “Fearless” became my theme song for the year because it was all about me being on top of the world, something that I really think happened last year. I was listening to National Public Radio (okay, I’m a nerd, sue me) and I heard someone say that Taylor Swift is arguably the biggest name in Pop right now. That made me feel so happy because I feel like I’ve been with Taylor since the beginning. It’s not like I jumped on the Taylor bandwagon when 1989 came out and everyone went nuts. I’ve been here since I was old enough to decide what kind of music I like. I am lucky enough to have gone to a Taylor Swift concert when she was touring for Speak Now. It was awesome. Just saying. When she was in Denver she performed in the Pepsi Center, which is this circular arena that the Nuggets (our basketball team) and the Aves (Our hockey team) play at. 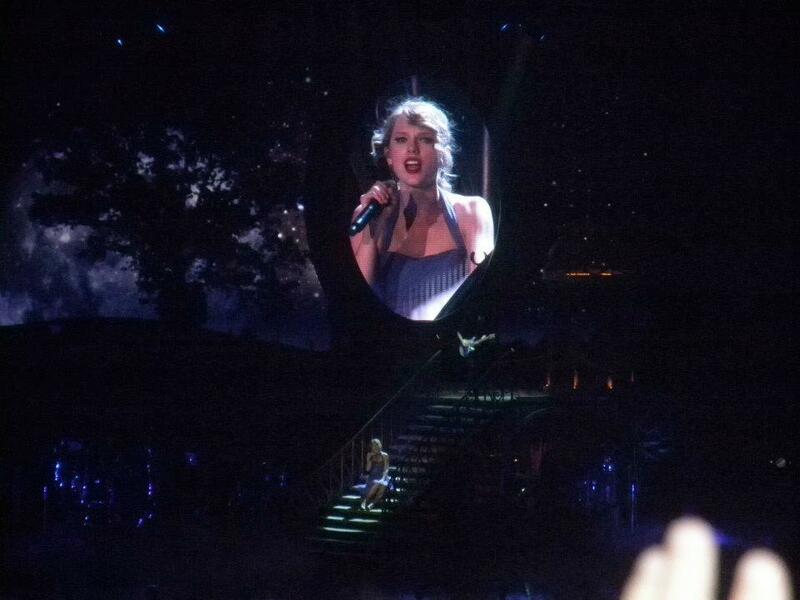 So while I was in the cheap seats and in the way back (why all my pictures show the view screen, not Taylor in person) I was lucky to be center stage. The moral of the story is: I LOVE TAYLOR SWIFT. Enough to publicly declare my love on the internet. To those of you still with me: Thanks for putting up with my random free write blog posts that really have nothing to do with diabetes and are kind of long winded and tend to ramble a lot. And that was funny because that sentence is a long winded and rambling sentence. 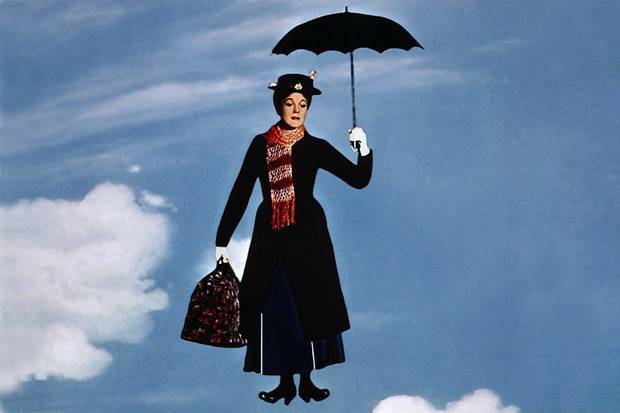 I haven’t met anyone who doesn’t fall into the range of seriously enjoying or loving Mary Poppins. I may be about to be proved wrong with this blog post, but I really don’t care. 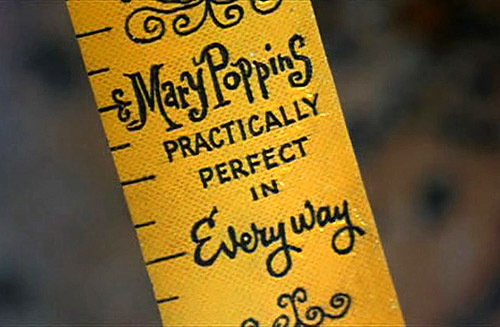 I will always love Mary Poppins. 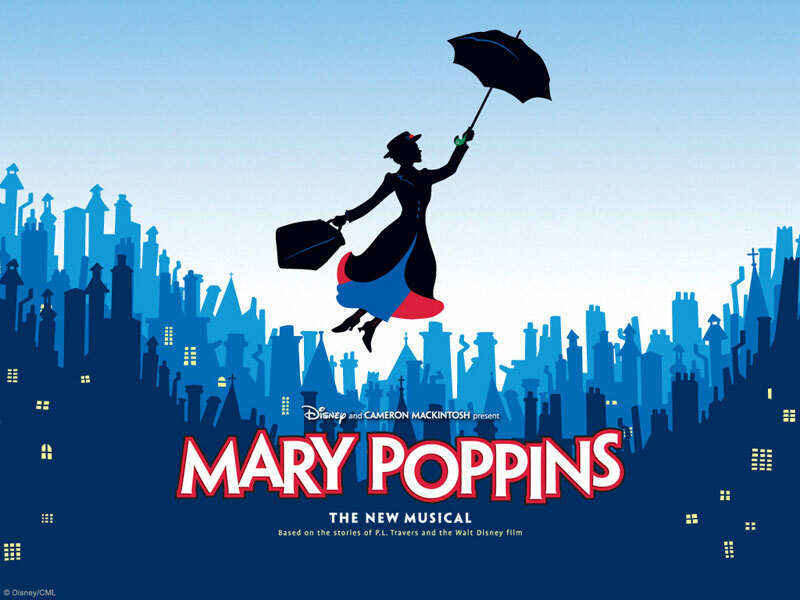 Mary Poppins came to the Denver Center for the Performing Arts, and my mother bought tickets. I’ve seen a ton of shows there, including The Lion King, and I’ve never been so transported as I’ve been with Mary Poppins. The music was wonderful, the actors were excellent, and she flew out into the audience. I’m writing about it now, and I’m getting goosebumps. And then I went to high school and took a lot of history classes and Mary Poppins took on a whole new meaning. For example, (“one night I said it to me girl, and now me girl’s me wife.” Just kidding. And you’re a champ if you get that reference.) Anyways, I understand why Mrs. Banks had time to be a suffragette, why she would do such a thing anyways, what economic and social class the Banks were in, etc. 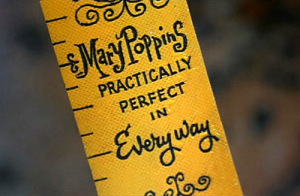 It’s even more fun to watch Mary Poppins now because I understand it on a whole different level. What a great movie. 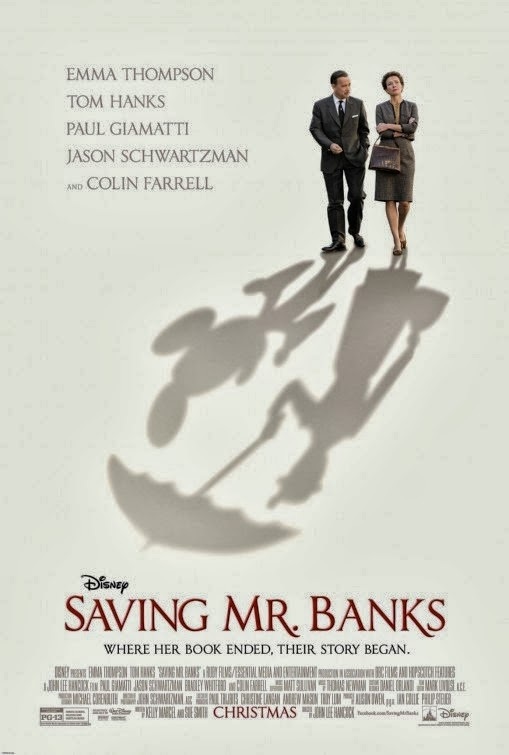 About sixish months ago I saw Saving Mr. Banks when it came out in theaters with my grandmother and mom and I just about died when hearing the the Mary Poppins melodies used as the music score. I mean it. Dead. And now my school has announced that out school musical this year is Mary Poppins. Oh. My. God. (Sorry, Mom. “Gosh.”) And we even outfitted our auditorium with aerial stuff so Mary can fly and Bert can walk on the ceiling. I’m dying over here of excitement. Holy cow!! For the past two years I’ve participated in the pit orchestra for the school musicals (and that is a whole story unto itself, so I’ll tell you later) and now I am incredibly excited to try out this year. Mary Poppins here I come!